When you get hit in the face with $10 return trip tickets to somewhere in Europe, you take them! And even though the decision to go to Berlin was taken quickly, the city has now become my imaginary go to place when Bucharest is too much to handle. people are awesome, go clubbing! Here are some places you can easily reach by foot around downtown, perfect for a 2 or 3 day trip. 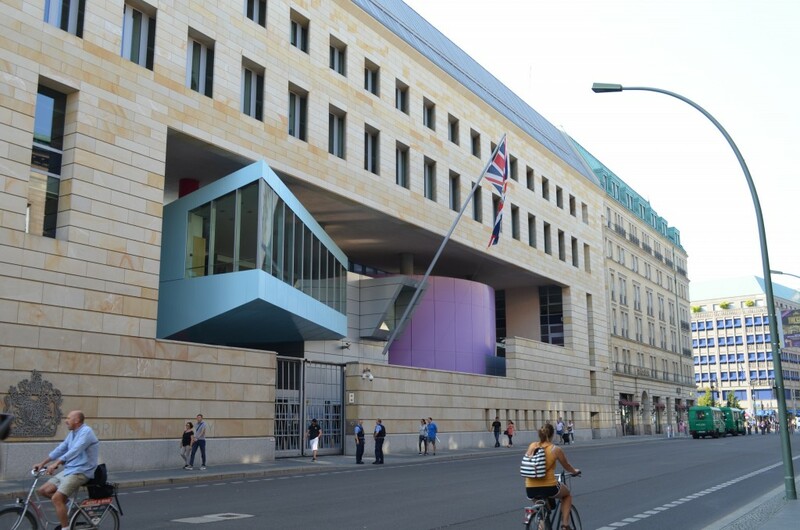 Everywhere you walk you can’t keep your eyes from bouncing from building to building or, like in the case of the British Embassy below, from building inside a building, inside a building. 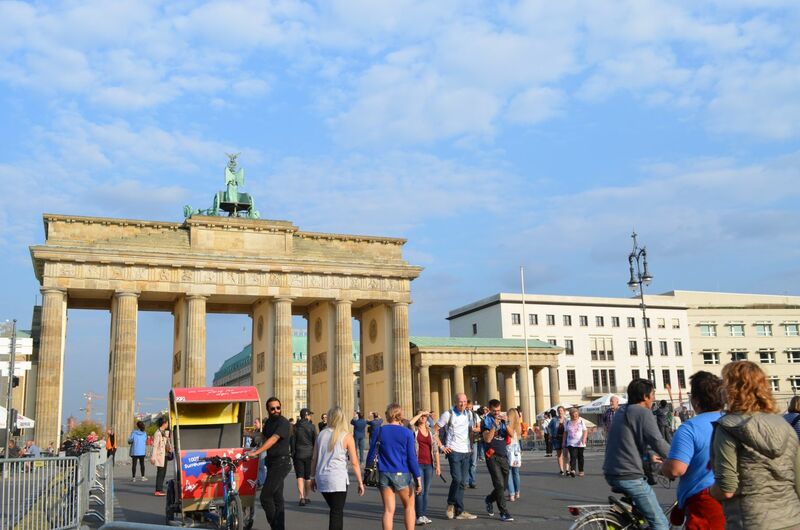 The Brandenburg Gate is certainly one of the icons of Berlin, famous for being the place where David Hasselhoff(star of Baywatch) sang Looking for Freedom, in 1989. The Square in front of and behind the gate is usually home to various events or at least closed for cars. 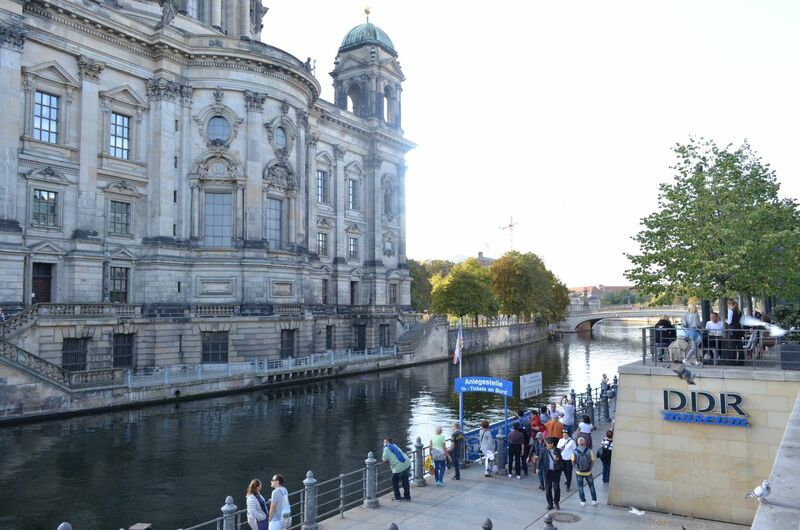 Surprisingly, there were more Germans than tourists every time we passed by there. 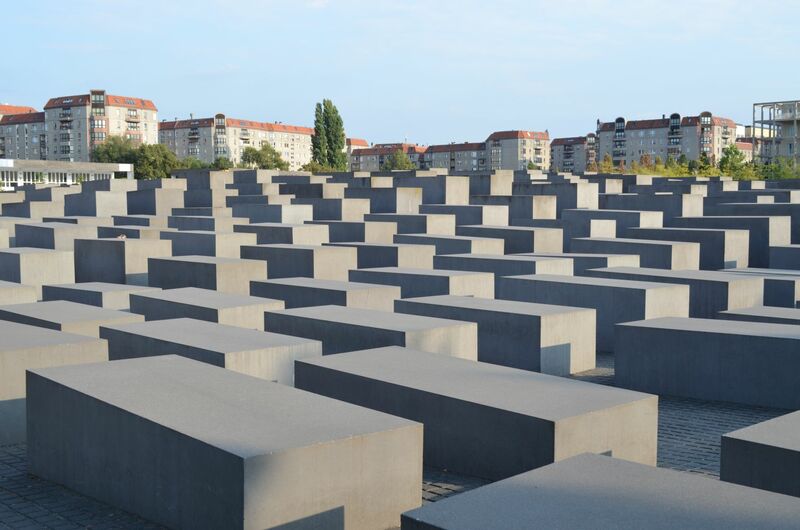 In close proximity to the gate you will find an impressive concrete park, commemorating the Jewish victims of WW2. There is also an information centre underneath but take your time to wonder through the grey slabs. 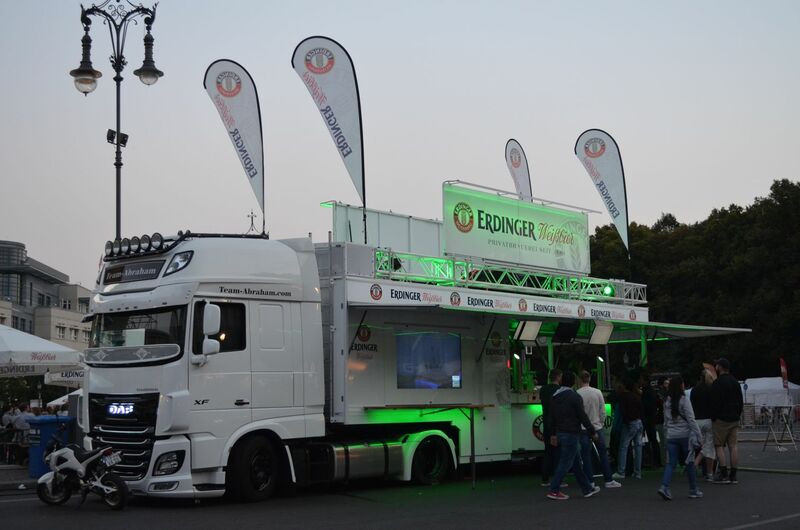 You know you are still in the centre of a major European city but you don’t know what is around the corner, where the sounds are coming from, who might be running towards you and which way the exit is. 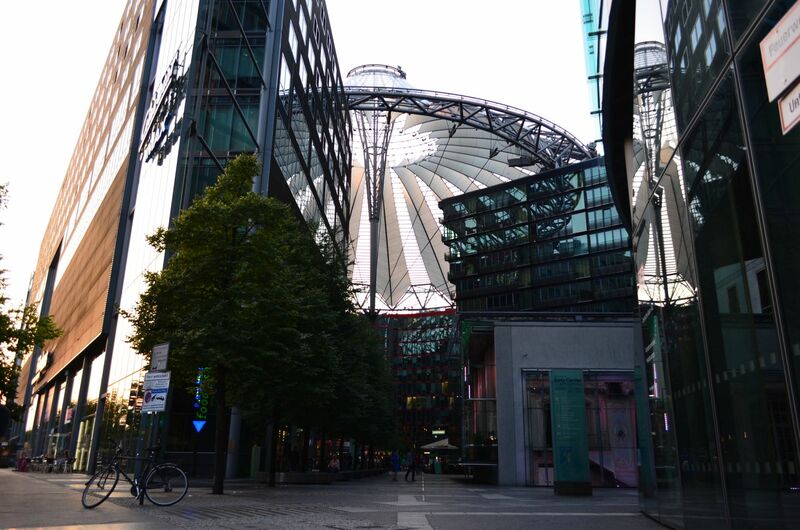 Another place I loved to explore is the Sony Centre, near Postdamer Platz. 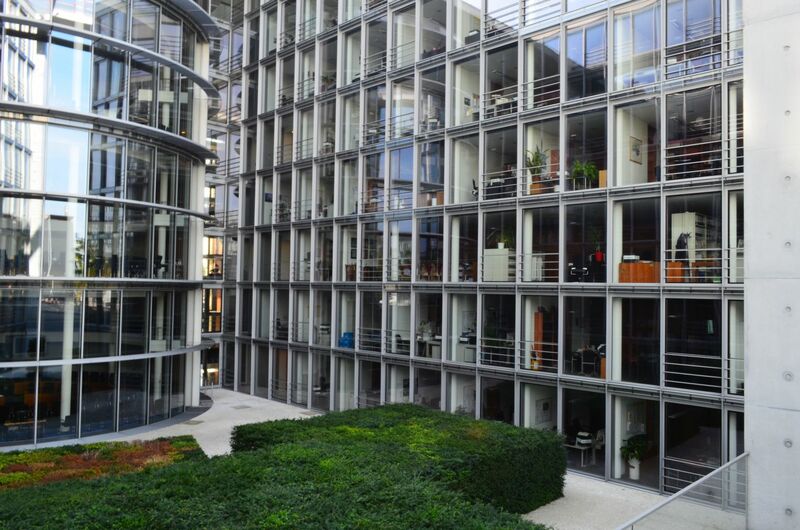 The indoor/outdoor space is the stuff urban dreams are made of. 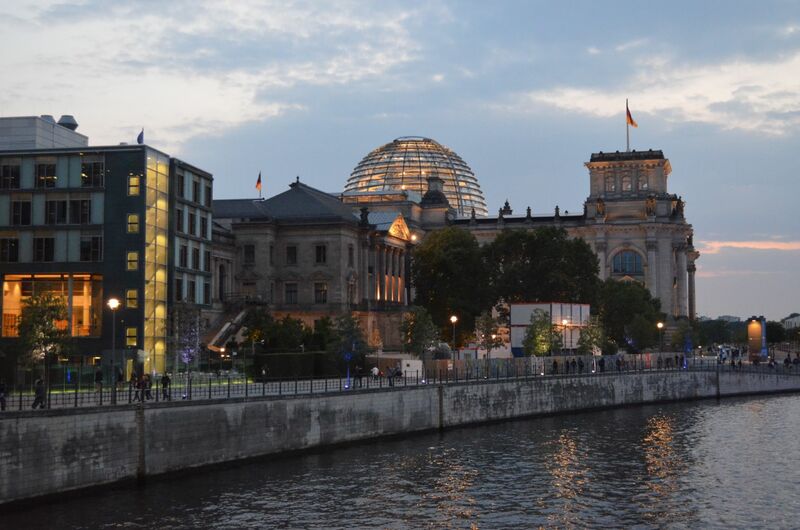 Unlike in most cities traversed by a river, we didn’t have to worry much about crossing it a zillion times a day because there are enough bridges to connect the 2 sides and each of them offers awesome panoramas of Berlin, like the one we caught with the Parliament Building. Speaking of the Parliament, this is how close you can get to the most important clerks in the country. Talk about transparency, eh? They even let you go all the way to the top BUT you need to book your visit well in advance (more than 1 week prior). 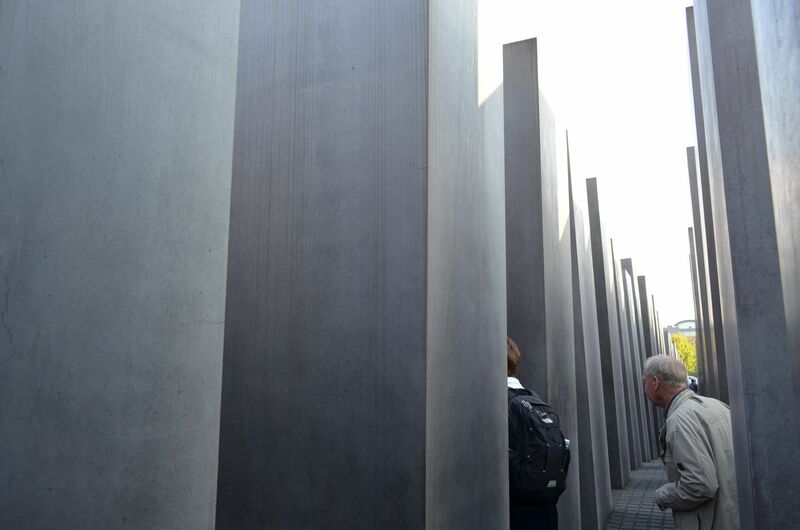 I really wanted to go see the New Synagogue of Berlin but it was not open for visitation on that day. 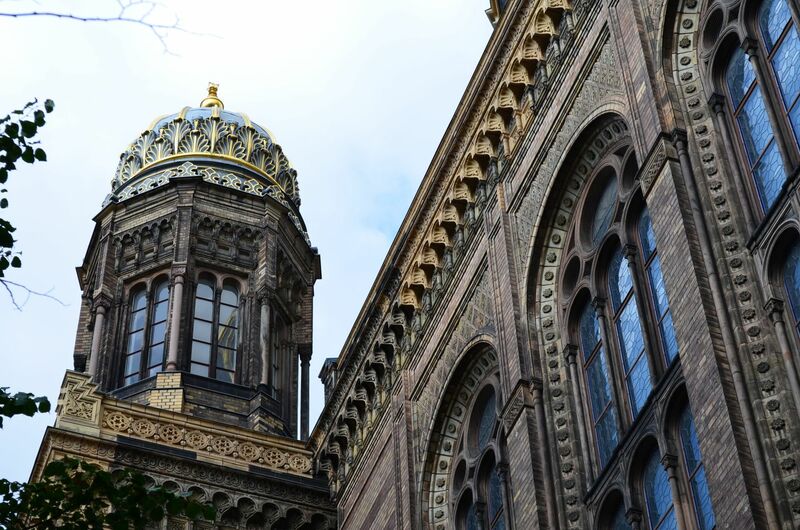 The outside though is highly ornate and gives you a taste of the intricate designs that await inside. 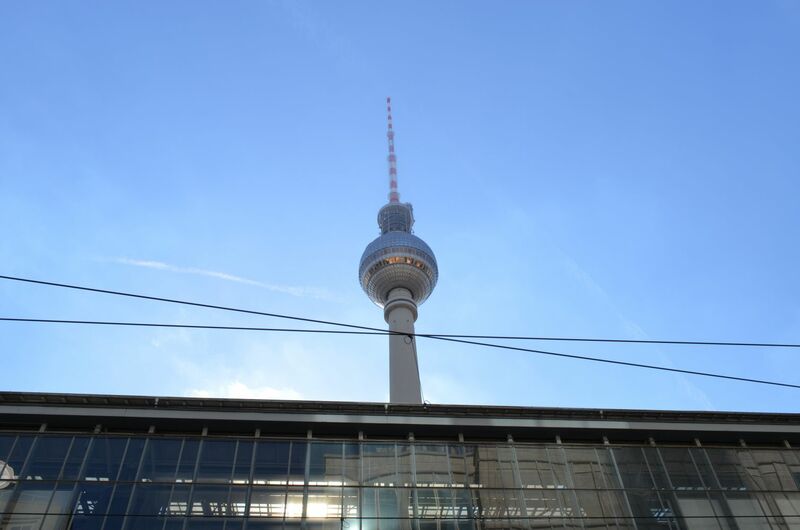 Another symbol of Berlin: the Television Tower, as seen from Alexander Platz. The tower can be visited for 10-15eur each and the square is nicely designed but packed with people. 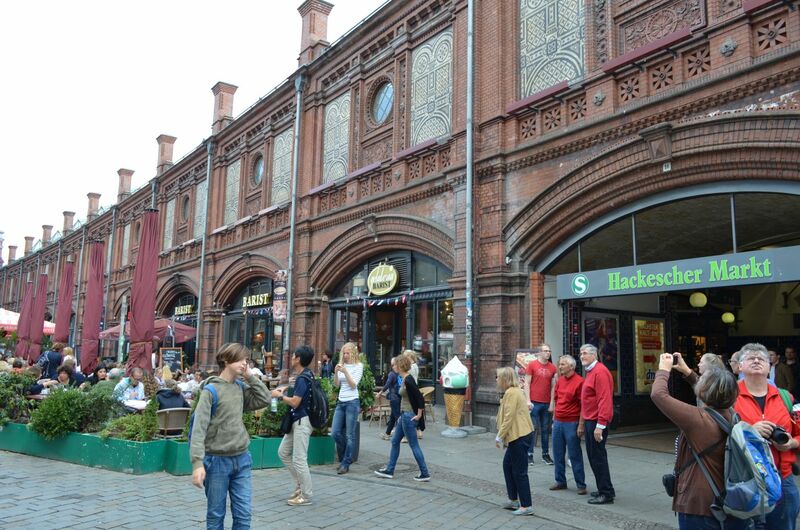 I blame the pedestrian traffic on the Primark store that takes up 3 floors right in the heart of Alexander Platz. If you are not sure how to get there, follow the stream of people carring a Primark paper bag. You’ll get there in no time. 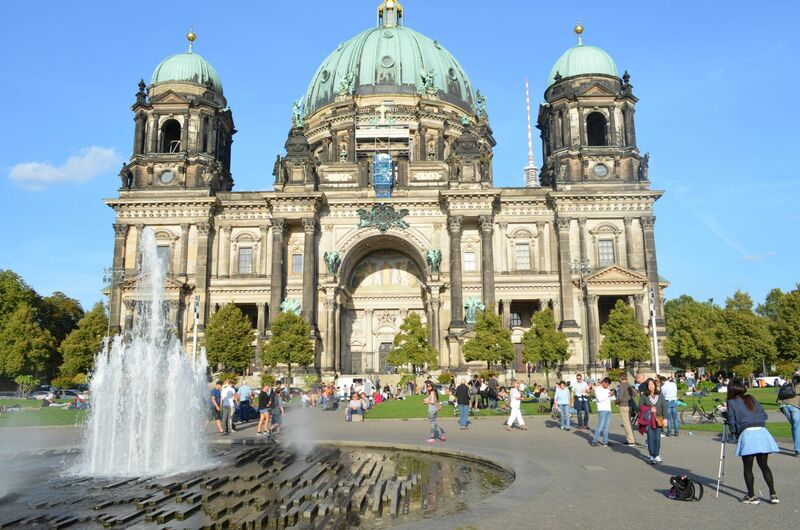 Museum Island and DDR Museum. Interested in the functional design trends of communist East Berlin or would you rather see some Renaissance art? Roman, Egyptian? This condensed area on either side of the river holds pretty much any kind of art you’re into. 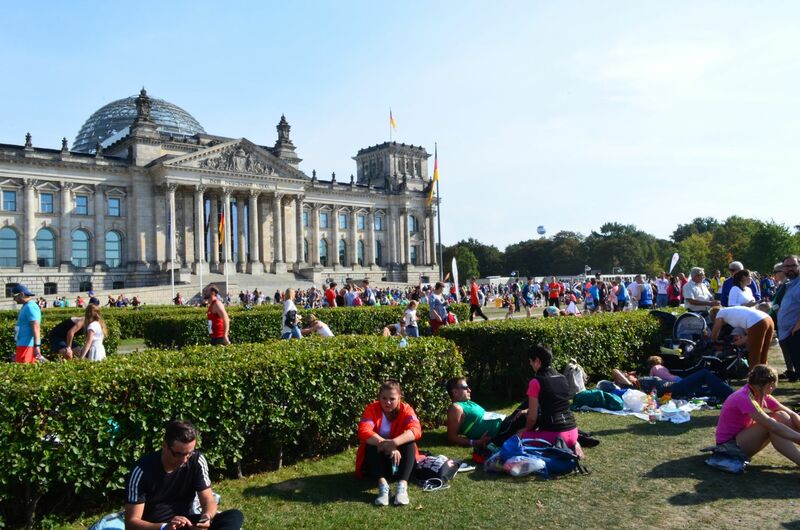 The Berlin Cathedral is at the lower end of Museum Island and its front lawn is packed with people of all walks of life, enjoying a sit down on the grass and a ray of sunshine. 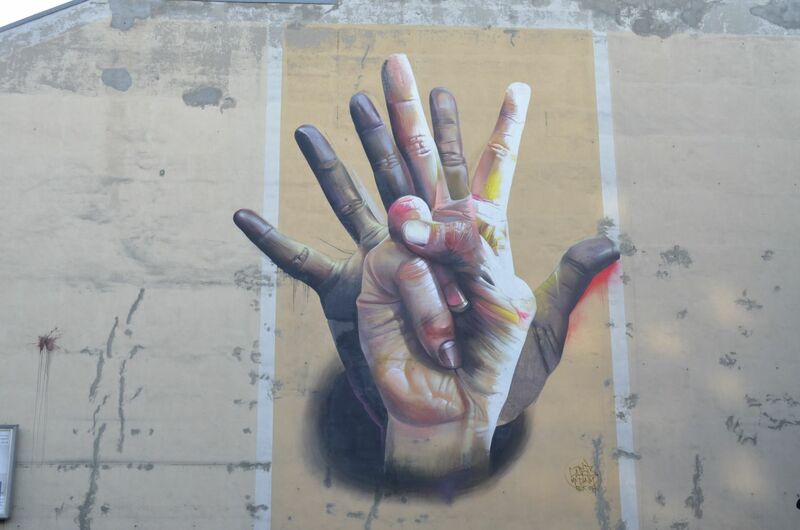 Street Art in Berlin seems to go by the rule: Go big or Go home. Lots of murals can be seen on the sides of buildings anywhere in Berlin. 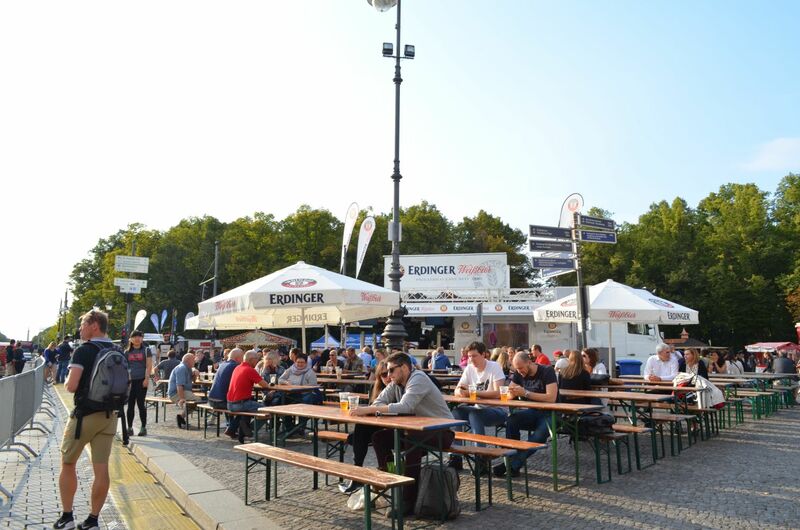 The Hackesher Markt is a great area for a weekend lunch as it hosts all sorts of stalls with fresh food, fresh juices and handmade objects. 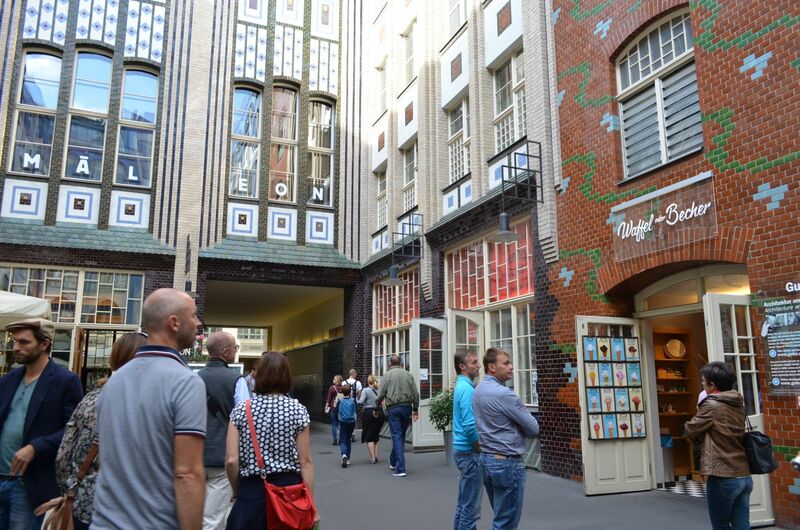 Once you’re done with the stalls, you can start exploring the 9 interconnected courtyards knows as Hackesche Höfe. 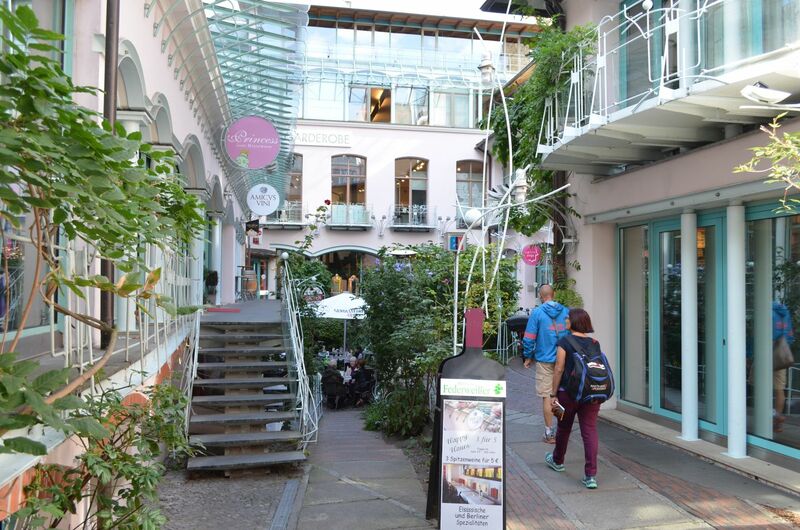 Each courtyard is decorated differently and they host boutique style stores, design hubs and small little cafes. 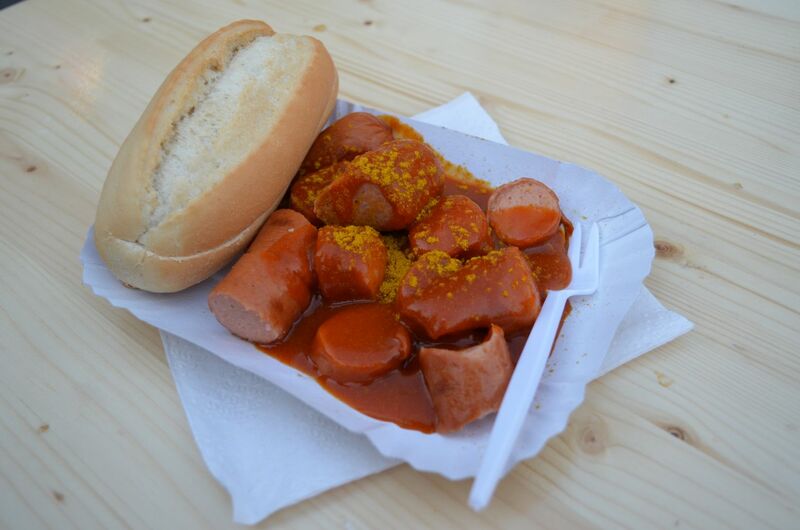 Berlin has a place for every cuisine imaginable and they’re all on the same street! 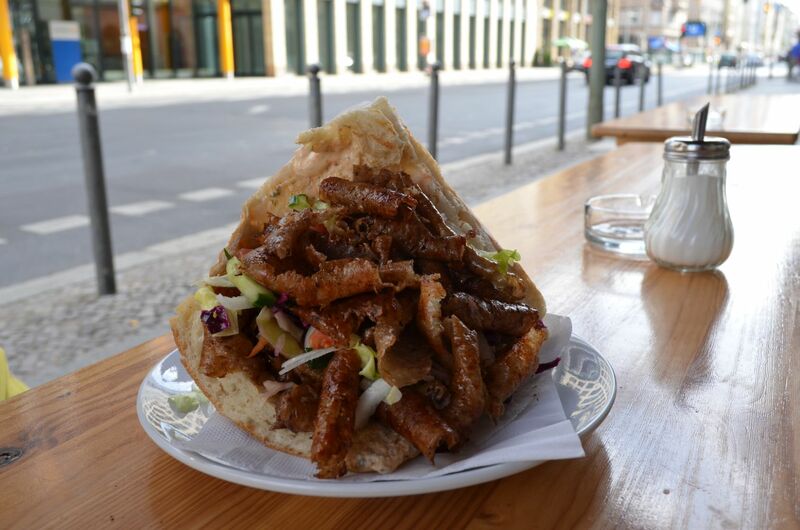 There is no place like Berlin for a delightful Doner Kebap, fresh and crunchy and the prices go down easy: 5euros for one of these big boys that can feed a village. 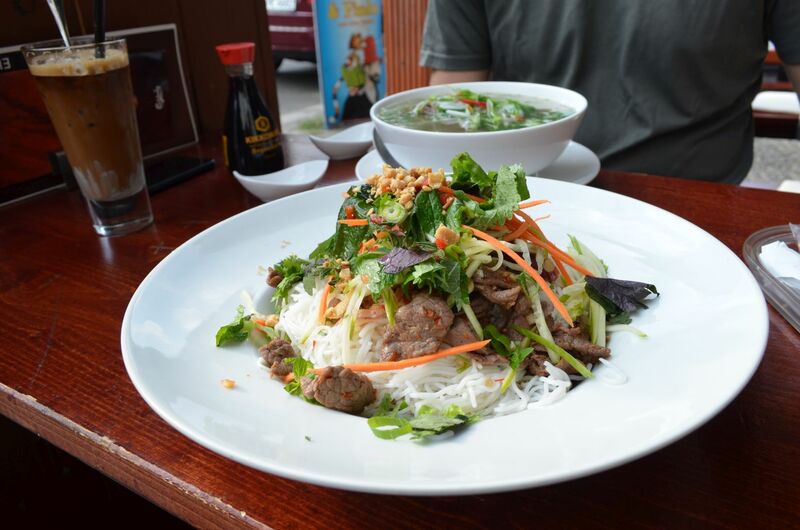 Or maybe some Vietnamese food is more to your liking, in which case this mountain of deliciousness is just 7 euros at Vietime on Chausseestrasse. 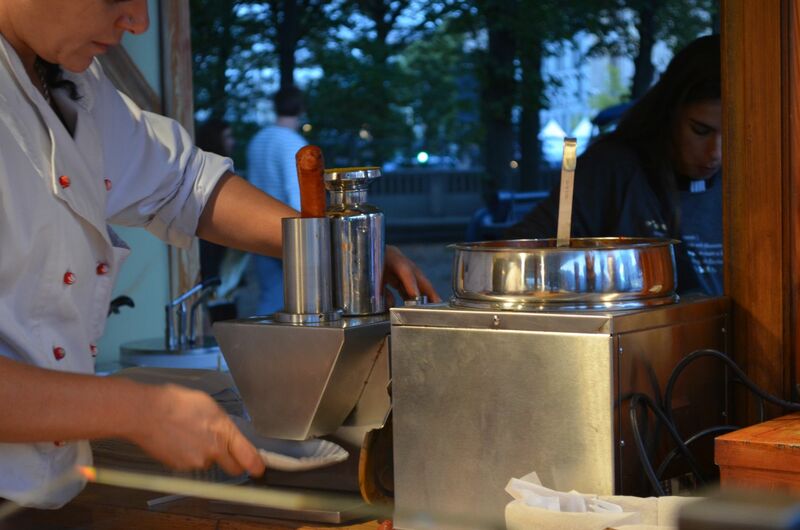 And for those of you that are curious in nature, here is picture of a nice German lady cutting a sausage into bits and pieces, using a machine that must be a guy’s worst nightmare. I can’t really close off this article without mentioning my favourite thing about Berlin: the People! They are so relaxed and orderly, so diverse and calm… the opposite of most stereotypes about them. Just look at these people enjoying their lives, not bothering one another, not being too loud or too drunk despite all the beer available and certainly not being uptight. Look at these crazy motherfuckers, closing down the city centre for a whole day just so they can run their asses off in a marathon. 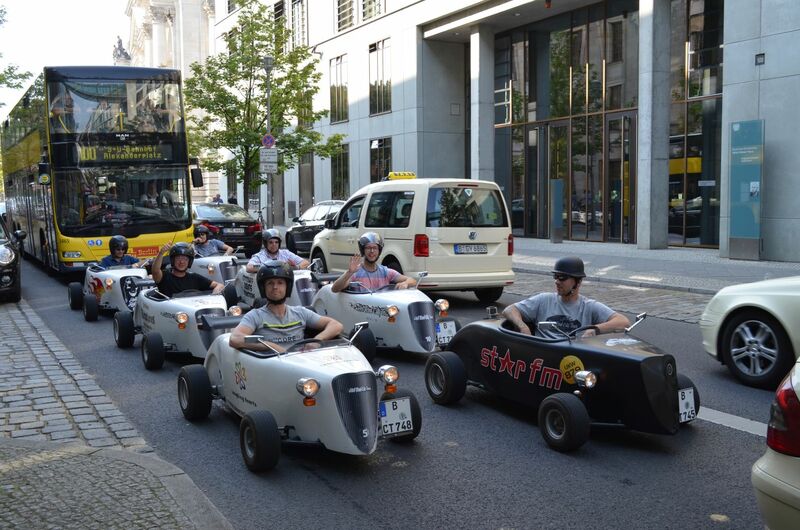 Can you imagine something like this happening in any other major capital and not having a gridlock of angry Sunday drivers honking to get it over with? 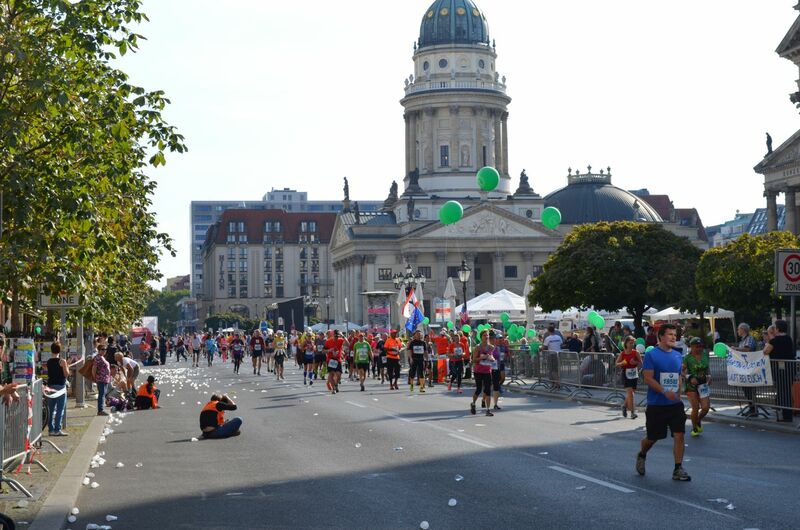 So while some Berliners decided they need to run that day, the rest of them said: awesome! 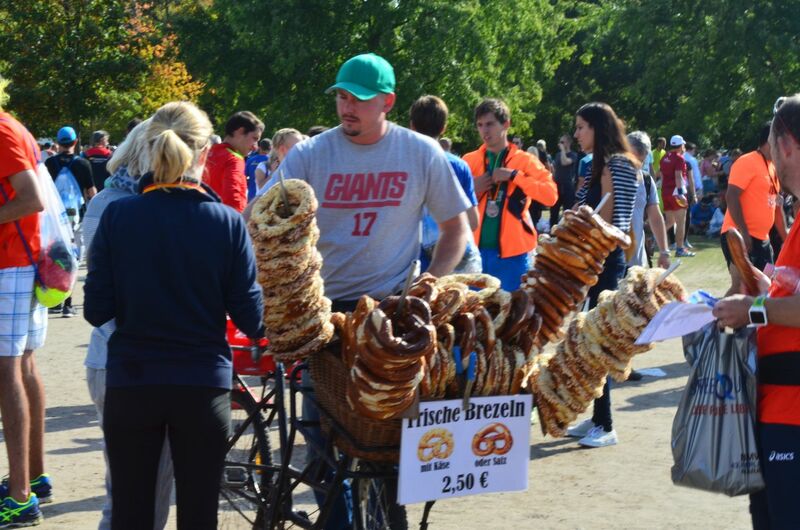 let’s enjoy the day with the family, have some beer and huge pretzels. Life is great.